Kia "The Perfect Getaway" by David & Goliath Los Angeles. 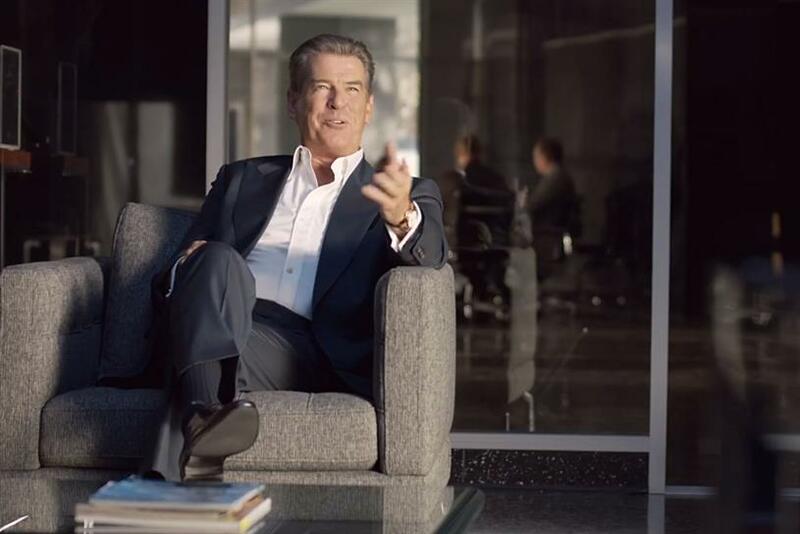 Actor Pierce Brosnan stars in a new spot for car company Kia. In the commercial, the former "Remington Steele" and "James Bond" actor is briefed by a talent agent on a new assignment. That assignment is Kia's sixxth consecutive Super Bowl ad. Action star Brosnan mocks his career by imagining rocket launchers and explosions around every turn. "What's the mission?" Brosnan asks his acting agent. "There is no mission," his agent replies. The ad (created by David & Goliath Los Angeles) taps the talent of the 61-year-old-actor, highlighting the auto-maker's practical Sorento vehicle.